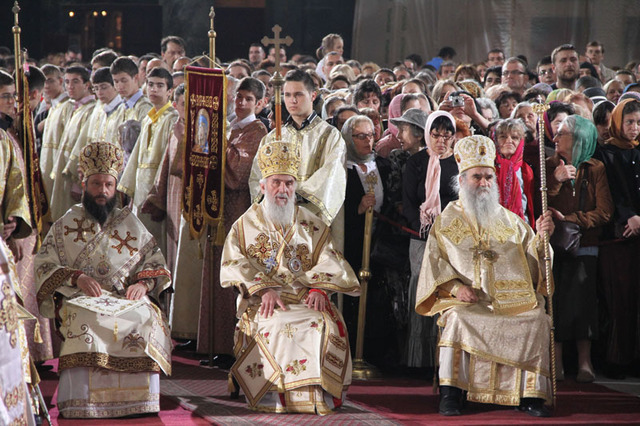 Belgrade, Serbia - The formal glorification of the newly canonized Saints was completed at the Holy Hierarchical Liturgy on Sunday, May 2, 2010 at the St. Sava Temple on Vracar. 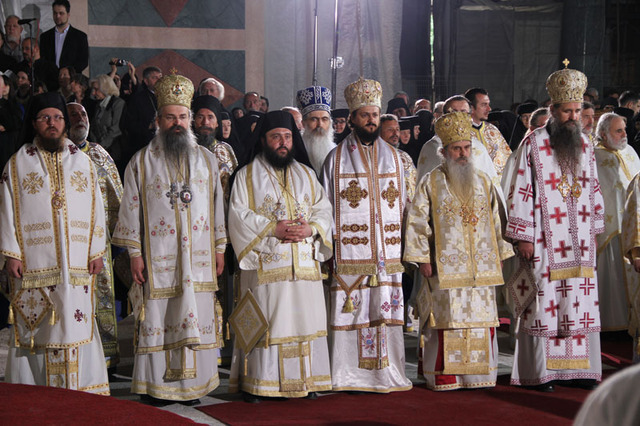 The Holy Hierarchical Liturgy was officiated by His Holiness Patriarch Irinej of Serbia with the con-celebration of the Bishops of the Serbian Orthodox Church. 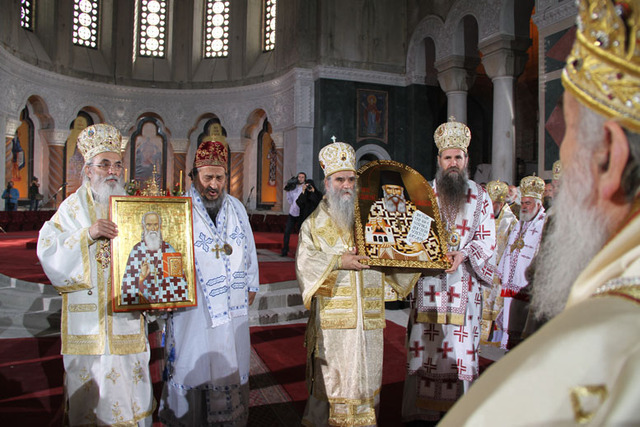 "These two are our joy before the Lord, the joy of our Church and the Universal Church," said His Eminence Metropolitan Amphilohije of Montenegro and the Coastlands in his homily. "In the year 1937 the venerable Fr. Justin, then professor at the University, met with the elder Symeon in his catacomb, at the Monastery he, with God's inspiration, revealed and built. He met with him and wrote: Is it possible that in our country exist such light and such a lighthouse? He wrote concerning him that he is the conscience of Montenegro. He felt before him the scent of Christ. And Fr. Justin wrote that he was caressed by the love of the elder's humble person, consecrated by the Holy Spirit. 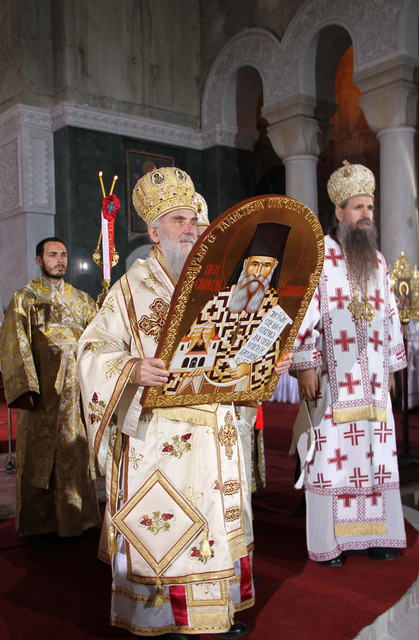 The two Saints of God met and recognized each other, vessels of God's grace. Fr. Justin who, just as we sing to him, had the God-man as a measure of all things and the elder Symeon, who also wrote that a pure heart sees God and that the Holy Spirit is He who sanctifies the Universe and everything and all. 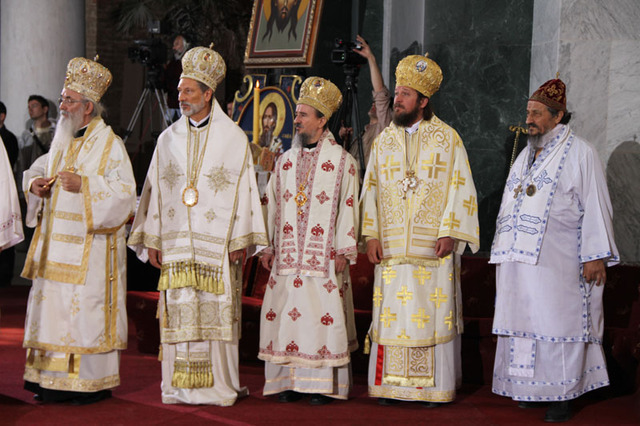 It was a time of crucifixion of the Church of Christ and a time when the Venerable Symeon of Dajbabe lived and a time that the Venerable Fr. 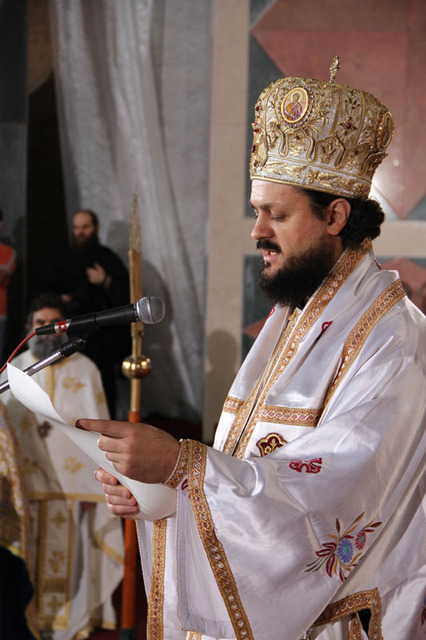 Justin of Celije lived. Their names are inscribed in the Book of Life. 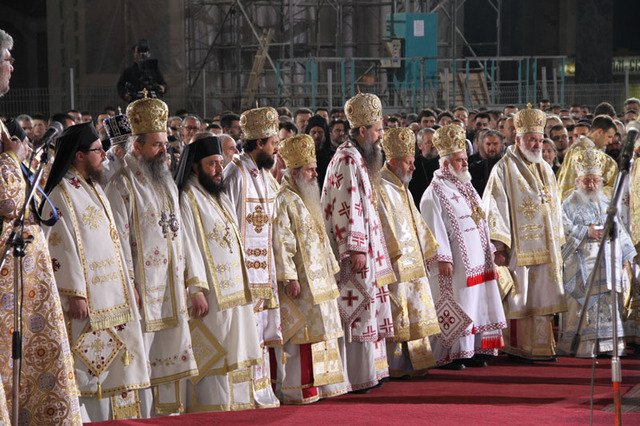 Numbered among the Saints bless this holy church, and all of us, the people of St. Sava, all people and all nations. 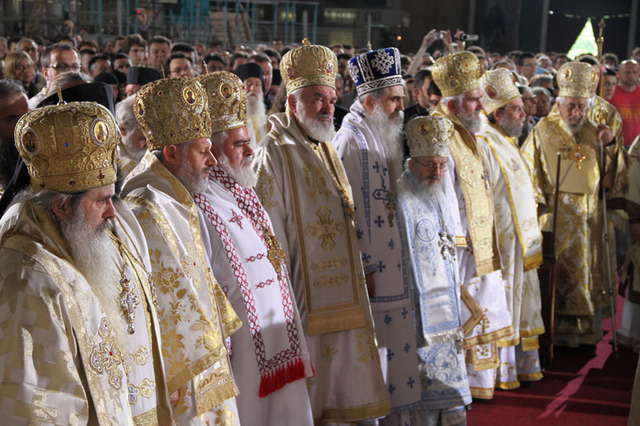 Through their prayers, Lord Jesus Christ and Holy Spirit, enliven us, sanctify and confirm in all our days of our life and unto the ages of ages." 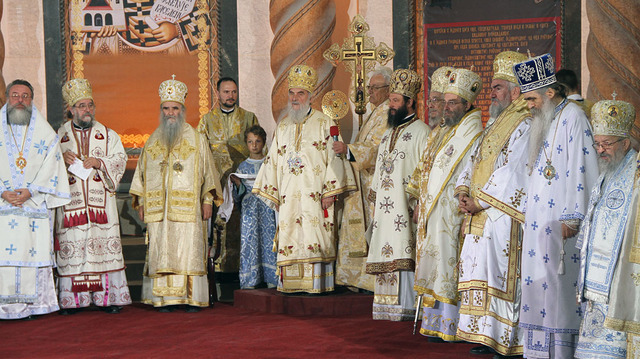 The Holy Synod of the Serbian Orthodox Church at its session on April 29th 2010 proclaimed two new saints of the Serbian Orthodox Church: the Venerable Justin of Ćelije and Symeon of Dajbabe. 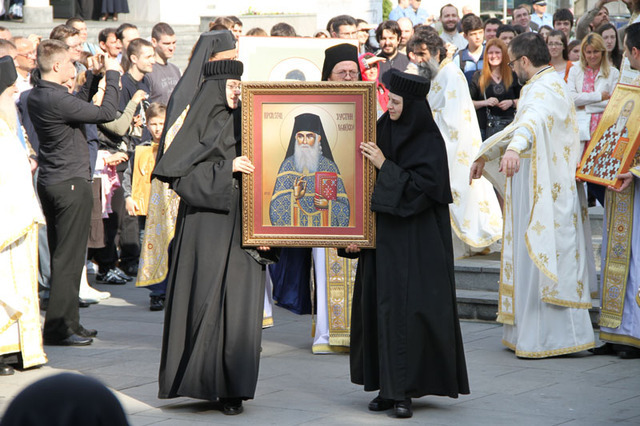 Venerable Justin will be venerate on June 1st/14th, and Venerable Symeon on March 19th/April 1st.